How does one feel when is not able to register for an Indiblogger's meet!? I experienced it this time. 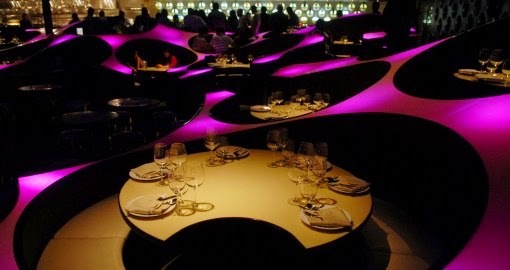 Within 12 hours 140 seats were full. 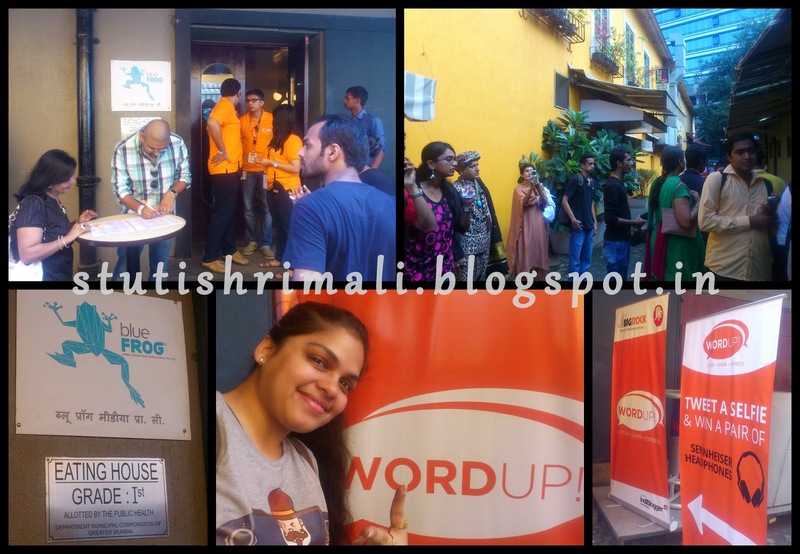 #WordUp meet in @TheBLUEFrog, something I really wanted to attend. Really was hoping that somehow seats increase and one day fate was in my favour; only "1 seat left", i could see flashing. Logged in without wasting a second and yay, i got the seat. Comes 20th September, i reached the venue at 8.40 hrs, there were already some 10 people present. Lucky draw among first 50 people to reach the venue and lucky one goes home with a MotoG brought people on time. The event was to start at 9.00 hrs. 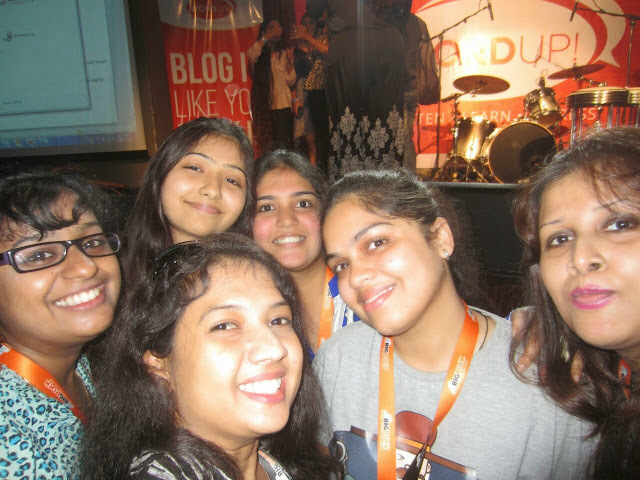 All were exchanging Hi's and Hello's; clicking selfies with the #Wordup banner, well there was a prize for that too. Enter and i see this nice wall of fame. The pictures of the performances from past at The Blue Frog. We then completed our registration process with BigRock and got a nice li'l bag with sure some gift inside, guess what it was a speaker. We all entered and took our seats. Coffee was brewing and sandwiches and cookies were shining bright. Yummy they were and i forgot all my tiredness from the early morning start on a Saturday for this meet after a hectic week at work. The session started with the "Games People Play" performance, followed by the rock show in the house by our very own IndiRock. Do have a look here. But who was the one in Bhootiya mask is still a mystery. Gaur se dekho is chehre ko (1st from right), per chehra hi to nahi dikhta. Listen - Learn - Express. 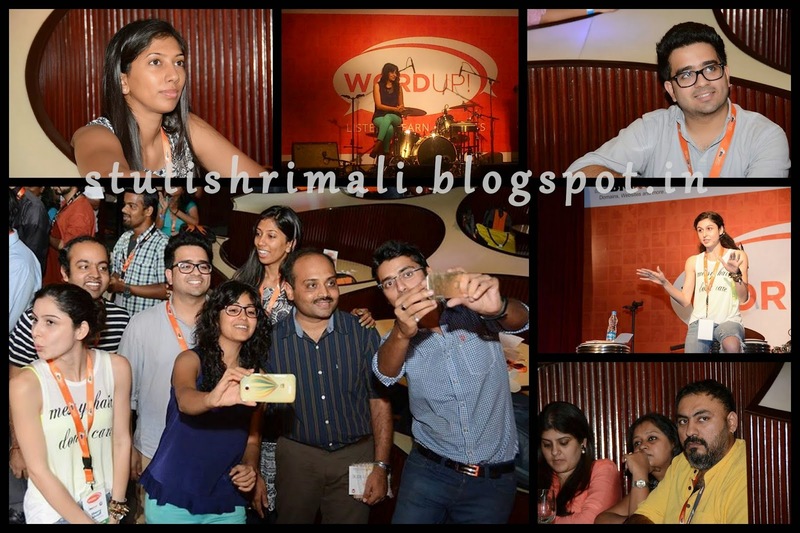 The musical session then followed by the #WordUp meet, a session for all the avid bloggers, to share and to learn. It all started with comparing by Anoop Johnson, as usual he was at his witty best. Then speakers came upon one by one, sharing their views and teaching us through their experiences. 1st came on stage was VINIT GOENKA followed by AMIT AGARWAL, VARUN KRISHNAN, LAKSHMI with SUNIT, ANSHUL TEWARI, C S KRISHNA, SCHEREZADE SHROFF, HARSH AGARWAL and SNIGDHA MANCHANDA. All were equally good but to whom I could connect the most were Anshul Tewari of YouthKiAwaaz and Snigdha Manchanda of TeaTrunk. Anshul Tewari's passion for his work, what got him to kick start and keep trying for till he got success and his story were simply amazing. While Snigdha's presentation was superb. All those stories she told via slides, wow! they were really very catchy. My learning from the day. A glimpse of the speakers of the day. Moments of the day and My Galpals. In between we had the hurr moment, a few more contests like the 1 to 10 game, wherein you choose a number and get a prize allotted to that, lot of cash was won by some lucky bloggers while some one potato and banana too. Live twitter contest was also on wherein questions from the different sessions were asked by the @BigRock, somehow luck favored me and i won straight a 1000 rupees voucher from flipkart. We were also engaged in the question answer session with the speakers and yes we did network too. The Lunch was if I am not wrong French cuisine and dessert was simply the best, a combination of icecream, brownie and pie. Line was long specially for the dessert and why not it was so yum after all. See for yourself. After lunch, second half was taken by other speakers and surprise of the day was stand up comedy by Bhavish Ailani. We were all LOLling even the serious bloggers could not stop laughing once he started the session of amazing jokes and gags. We were all served tea and snacks during the evening, it was already 17:00 hrs and we had no idea how time flew. Cool music was playing in the background and we were all busy chatting and clicking over the high tea. Followed by prize distribution. Well a rocking day is nothing without a rocking close. 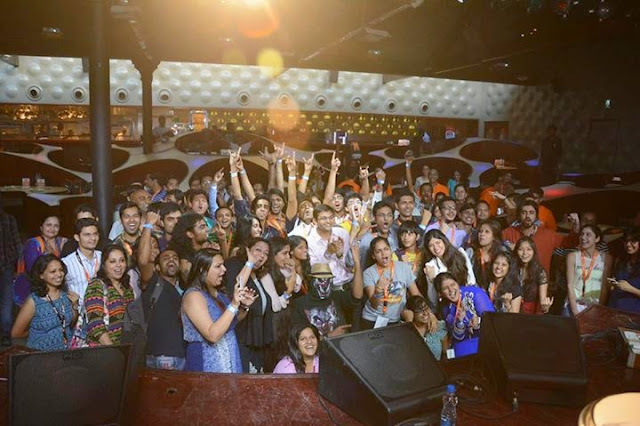 We were all called upon by the IndiBlogger Team in front for some head banging in truly RockStar style. That was fun, something I did after a long time, probably after college only I guess! This and that kept happening and finally we all gathered for some shots, group shots and icing on the cake was my clicks with Speakers of the day. Have a look. Finally we all bid adieu to each other to head home and keep blogging. But that wasn't all. 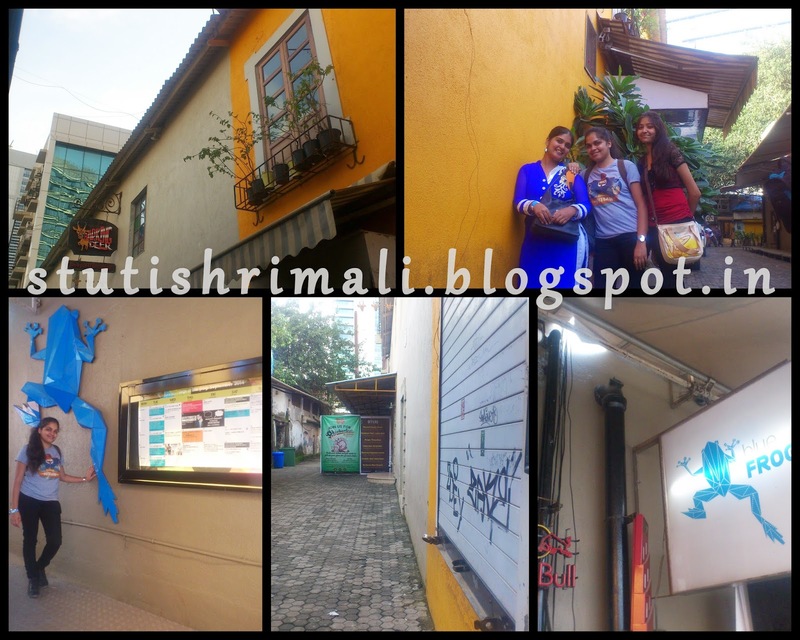 I clicked some more pictures and got clicked too outside the Blue Frog. Glimpse of the same is here. Nonetheless, could not ask for a better Saturday. Had fun. Kudos! Indiblogger for organizing this awesome #WordUp meet. Keep up the good work. P.S. 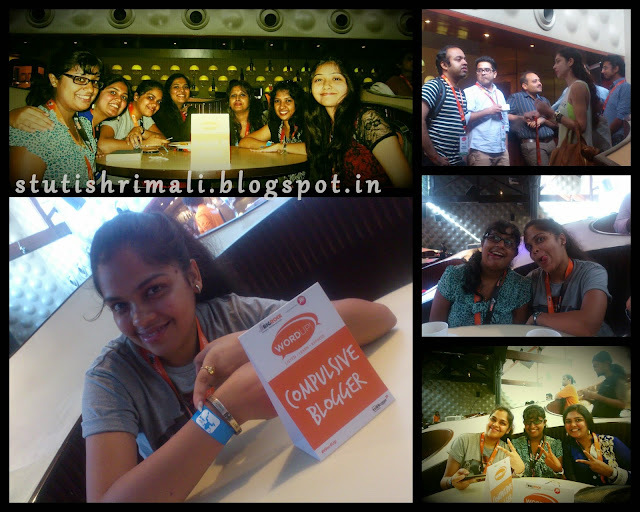 Picture Source - Some are my clicks and some from friends, indiblogger and google.